The camera also features USB 2.0 connectivity, auto focus, a glass lens, a 4x digital zoom, a noise-canceling microphone, and a technology called “ClearFrame” which aims to deliver smooth and detailed video. 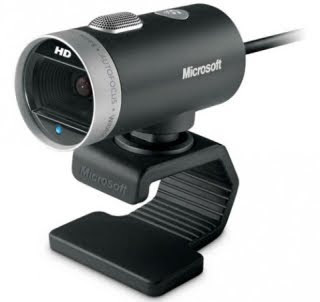 The new webcam is compatible with Windows 7, Windows Vista, and Windows XP out-of-the-box and also integrates with the Windows Live suite of tools including Live Messenger, Live Photo Gallery, and Live Movie Maker. However, before you run out to purchase this hardware (which becomes available on September 9th), you’ll need to first check the hardware requirements. Since this camera does some heavy lifting, you’ll need at least a dual core 1.6 GHz processor in order to use it. However, a 3 GHz processor is recommended. You’ll also need 2 GB of memory.